GUYS, Louisiana is having a cold front this week, meaning we're no longer in the 90s, and the crisp morning breeze has me in such a fall mood! I'm stocking up on all my basic layering pieces and finally getting to break a few out, so I thought I'd share them with you. Since I'm now an alum of Chi Omega, I've tried to stop wearing so many Chi O tshirts, but really just tshirts in general. That baggy tent look is great on campus, but I work more than I actually have class now, so I've moved to more structured, albeit still relaxed options. Gap and Old Navy have some great classic options, but I've found the Gap ones hold up a bit better. Their soft spun knit tanks are AMAZING and I now have one in every color. They're super soft and the high cut on the neck is very flattering. Plus, they wash well and don't shrink. The striped tee is another winner because it has a curved hem, great for leggings, but is very light and breezy. Great for layering when it gets a bit cooler, but perfect for going to class now when it's still 80+ in Louisiana. I just got these mid-rise ripped up black jeans from Old Navy and I have already made them a fall staple. I love that they rough up my uber preppy look a bit and they're SO comfy. With a basic tee and a pair of Chelsea boots I'll be good to go. If I'm honest, besides Gap, I do all my shopping at Nordstrom lately. I love J.Crew, but there's just not much variety there. With the free shipping and free returns, there's no risk at Nordstrom...plus they have everything! I've already blogged about this green corduroy skirt, but this neutral suede one is calling my name. I tried to buy a suede dress and it looked WAY too 70s hippy on me, but I think this skirt is the perfect "trendy but still classic" look I'm going for. I just got this white tee shirt from Nordstrom last week and I've worn it so many times already. It is very see through, but it's super soft and flowy without being shapeless. I actually wore it tucked into my green corduroy skirt for dinner and it looked just as good as worn casually with my ripped jeans. Win win. As far as accessories go, I'm still trying to convince myself to buy a pair of Raybans. I love this Erika style and the tortoiseshell color, but my goodness I'd never forgive myself if I lost them. On the boots front, I LOVE the look of these Chelsea boots. I've been looking for a good, well made pair that won't break the bank since I came back from England and I think I finally found them. The cut and color are so basic and simple that I think they'd pair well with anything in my closet. The Calypso boots are another recent purchase. I'm not so sure about these, so we'll have to see when they come in what they'll look like on, but I love the idea. They lighten up a dark fall wardrobe so well and I think they'd make a good alternative to my Tory Burch leather riding boots. All in all, I love the comfy laid back look for fall. I think an easy white tee with leggings and boots and a cute scarf is so precious and I can't wait for cooler weather to wear that all the time. I love the emerald greens and soft suede looks this fall, as if you can't tell, and I can't wait to *hopefully* document some of my favorite outfits with my new camera. We shall see! 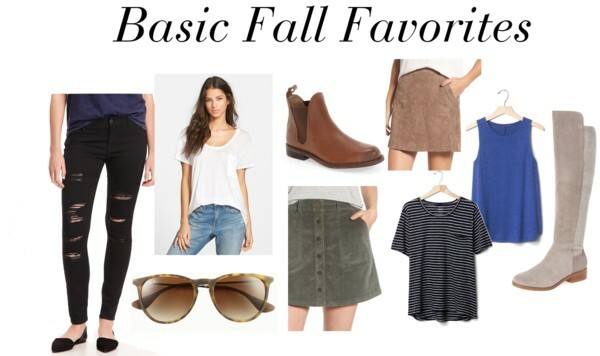 What are your favorite fall pieces? Leave any recommendations in the comments below! I'm 22! 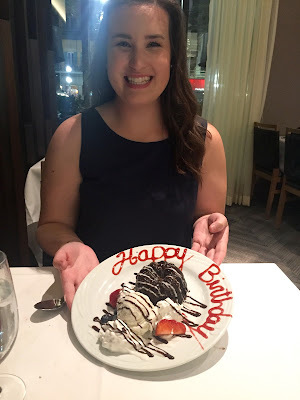 I had my 22nd birthday last week, on September 9th, and I spent in with Myles in New Orleans. Even though I live only an hour away, New Orleans still feels like a vacation and I love the European influences, especially in the French Quarter. Everywhere I turn something reminds me of a European city I've visited and I love the happy go lucky spirit mostly every one has, whether they're on vacation or a permanent resident. We stayed in the St. James hotel on Magazine St and we both really loved it. It was only 2 blocks away from my favorite brunch spot, The Ruby Slipper, and only about 6 blocks from Jackson Square and the French Quarter. The room was small but cozy and felt like a home away from home! I bought a Lush bath bomb downtown and took a bubble bath in the white marble bathtub and omg it was perfection. This post is very picture heavy as I just got a brand new camera, so I'll try not to be too wordy! My birthday started out with donuts and chocolate milk in bed at Myles' parents because we stayed there since they live right outside the city. It was the perfect treat to kick off my day! After that we drove into the city and checked into our hotel. We were absolutely HANGRY at this point, so thank heavens Ruby Slipper was only 5 minutes away. We used the NoWait app and literally had a table within seconds. I got french toast, which was okay, but I was drooling over Myles's eggs benedict. Our drinks stole the show though! He had a decked out bloody mary and I had a blackberry strawberry mimosa! As a person who hates orange juice, I was overjoyed to see that on their menu! I love how fresh and bright Ruby Slipper is. After breakfast, we headed straight to the French Quarter by way of the river. We just walked and talked and enjoyed the gorgeous but SO HOT weather we had. Of course everyone loves Cafe Du Monde. If you're going to venture that way for breakfast, go early! Tables disappear in minutes, but it is a really nice spot to start your day of exploring. This is my favorite picture of the weekend and I've already ordered a print of it. I love the vintage looking color and how bright the street car is. I am so sad that this is the best photo we have from dinner, but I don't regret putting the technology away and just having a good time! Myles' parents sweetly got us a gift card to Fogo de Chao, a Brazilian Steakhouse where they just bring out delicious cuts of meat until you have to roll home, and it was a blast! They also gave me this cute molten chocolate cake for dessert, so I'd say it was a good time! We went to the casino for a while after dinner, but true to my nature, I was in a bubble bath by 11 o'clock! All in all, my birthday was great and I'm so lucky to have such wonderful people who made me feel so loved and celebrated. Can't wait til next year! P.S. - I wrote a post all about my 19th bday in Nola too if you want to go back to vintage Sarah Smile.